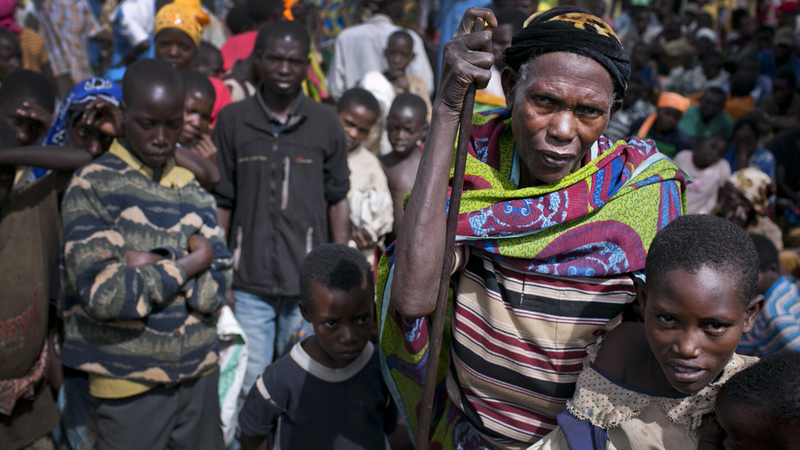 At least 105,000 people have fled from Burundi over the past three weeks. An unfortunate series of events has seen the small, landlocked nation descend into absolute confusion: first, President Nkurunziza declared his intention to stand for a third term (arguing against the unconstitutionality of this decision cleverly, supported by the constitutional court); next, amid protests against the President’s decision, Major Godefroid Niyombareh declared a coup d’etat against him; finally, clashes between military factions and Nkurunziza supporters erupted across the capital, Bujumbura, with the President emerging on Friday to declare that those involved in the coup would be punished. Meanwhile, the US had advised Burundians to leave the country. Not that Burundian citizens required any encouragement; during the escalating conflict, they began to leave in their thousands to neighbouring Tanzania and Rwanda. It might seem strange that such a relatively unspectacular set of circumstances could lead to the exodus of more than 100,000 people. But fear and memory drive these people: they remember the 13 year civil war which ended in the 2005, and the countless deaths caused by Hutu and Tutsi conflicts. Al-Jazeera reports that 50,000 people at least are living on the shore of Lake Tangyanika in Tanzania. Being called refugees, asylum seekers and political exiles, these people reflect the confused nature of the situation of the country: is Burundi at war? Will it go to war with itself? Will President Nkurunziza now exact revenge against the population? These must be some of the questions people have asked themselves before fleeing. It’s easy to see why they did. But now that they have, a full-scale humanitarian tragedy could be in the making. The locations of the makeshift refugee camps are not ideal. Not only situated on inaccessible strips of land, basic resources are not readily available for the people, and the governments of both Rwanda and Tanzania have already stated they fear outbreaks of disease are inevitable. Furthermore, the camps are made up of women and girls mostly; estimates range that between 57-65% of the camps are majority female. So far, this is only a statistic, and nothing especially informative about the camps – but it could lead to interesting normative conclusions about why this might be. Fear of a different kind, perhaps. While the conflict has remained mostly political in Burundi, the scale of human movement demonstrates not only the distrust between the people of Burundi and its political establishment, but the shaky post-civil war peace, as well as the ill-equipped nature of neighbouring regions to support the Burundians. It’s obvious, but far from inevitable that settling the conflict and helping people return to Burundi will benefit all involved in the process; already the President has made speeches regarding Al-Shabab, the Somalian terrorist group, which many see as a way to apportion blame to those outside the nation, and also a way to cover up his forthcoming revenge.